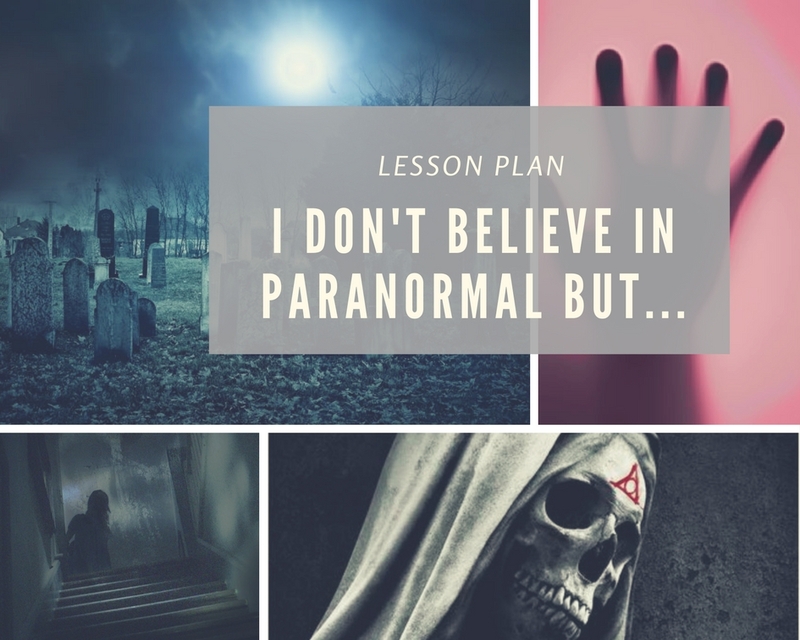 Lesson Plan: I don’t believe in paranormal but…. Fall has finally hit!This is Halloween’s week and it seems the weather has finally chilled out and stopped being silly. The truth is that I don’t see myself telling scary stories in class while the sun outside is shining bright. It just wouldn’t do! Telling scary stories requires a dark, grey, gloomy day; one cannot be telling scary stories and thinking about going to the beach. to give students’ some listening and speaking practice. Write Paranormal on the whiteboard. Ask students if they know what it means (if necessary, explain that a paranormal activity is not scientifically explainable), and ask them if they believe in paranormal phenomena. STEP 2. LISTENING COMPREHENSION. A PARANORMAL STORY. Ask students if they know what a Ouija board is and ask them whether they, or anybody they know, have ever played with a Ouija board. 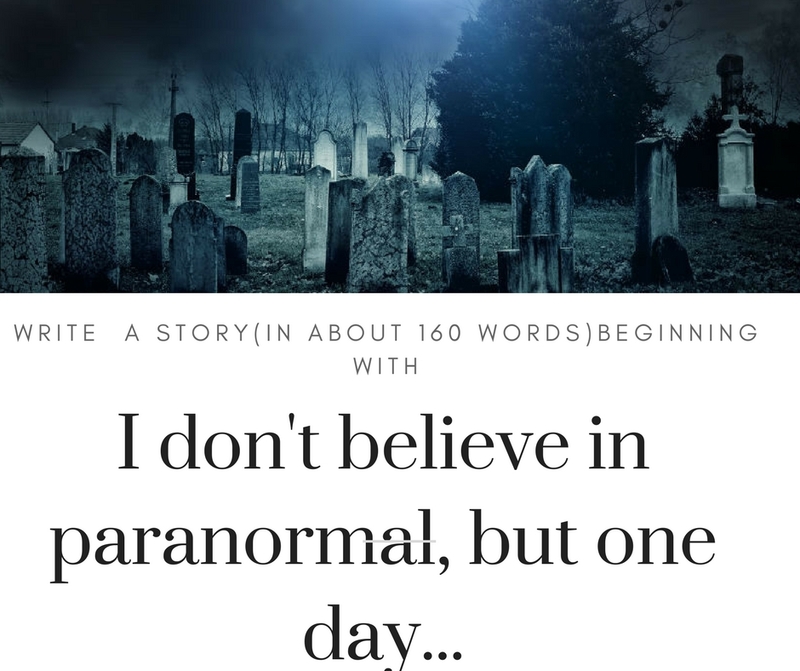 I have a real experience to share with them but in case you don’t, there are plenty of terrifying stories online you might want to share with your students (just to build the right kind of atmosphere). Play the first 0:53 seconds of the video and ask students to predict what will happen next. Listen to their predictions and then, play the rest of the story. The first time, the narrator’s brother moved the planchette. Why did they decide to play a second time? What is the ideal environment for a Ouija board? Why did the narrator leave the room? Why did he run back to the room and what did he see? Before asking students to discuss the questions you might want to pre-teach or revise some vocabulary. To talk about “people”: a ghost ( a ghostly figure), an apparition, a shadow, an entity, an (evil) spirit, a hallucination, a medium, a UFO. Ask students to work in groups and answer the following questions. Do you believe in ghosts? If not, how do you explain people’s claims to have seen them? Have you experienced the feeling of déjà vu? How do you explain this strange feeling? Telepathy is communication directly from one mind to another. Is it possible to communicate this way? Sometimes, the police use psychics to help them. What do you think about this? Do you believe in hypnosis? What happens when a person is hypnotized? Can people predict the future? Have you ever had a feeling about the future that turned out to be true? What do you think about UFO sightings? Are you a superstitious person? What things are you superstitious about? Most of the questions are from this site. STEP 4. WRITING CONTEST. I DON’T BELIEVE IN PARANORMAL, BUT…. I love telling stories, don’t you? Well, the heading in this Step 4 needs no explanation. A contest. A contest which will give me the opportunity to revise narrative tenses and connectors to help students sequence their ideas. A good contest, deserves a nice poster. Here it is.